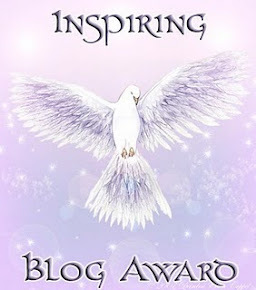 A month ago, to be exact on August 23rd, I was selected for the Liebster Blog Award by Micki Peluso, the author of And The Whippoorwill Sang. Liebster is a German word and is translated by bloggers all over the world as the "favourite blog award." It is also awarded to those bloggers who have less than 200 followers. My nomination was a very pleasant surprise and an honour, because the nomination came from a woman who I highly respect. I am one of a large number of writers, who read her book and suffered, cried and laughed with her as she took us on a journey that changed our way of thinking about alcohol while driving. The woman, Micki Peluso, is a wonderful writer and if you haven't read her book yet, then read the book reviews written my many and buy it. And The Whippoorwill Sang is a book you will not forget. So, thank you Micki for this nomination. It has taken me a month to get it up, but I have no doubts you understand the time pressures of a writer. In accordance with the nominations and acceptance I must answer 11 of Micki's questions. .1. What is your purpose for your life? My mother said I was born singing. I can believe that because music is so tightly interwoven in my life. I wanted to write every since I was three years old. I started school at the age of five and my very first day, I wrote my first story. Of course no one could read it but me. So I read it to everyone. Thus writing joined the circle with music. My purpose is to be the best writer, singer, musician that I can be with the talents that I have been given and to use them to reach out to others. 2. Are you currently working on meeting your goals? Yes, I am. It is difficult at times because writing is hard work. Music is also hard work. What people read or hear when you are standing on stage seems easy to them, but if they would look behind the curtain, they would see a lot of hard work. 3. How do you find relaxation in this busy world? I am an early getter upper. That means I usually get out of bed at five AM. It is a necessity for me, because I enjoy the quiet morning hours when no one is awake. I take this time and meditate, centering myself on what is important to me with my Bible. 4. If you could be anyone you wanted to be, who would you choose and why? Oh, Micki that's an easy one. If I could choose, I would still want to be me, the person that I am right now. I am not saying that I haven't had a rough way, but the way I am going has given me purpose and a reason to live and a reason to die. It is the best way for me. 5. Are you a good friend to others and to strangers who need help? Yes, I am. I care about people and especially about those who society shuns. 6. Do you journal or keep a diary and if so, why? Yes, I keep a journal, and have since I was a child. Especially in my journaling, when I go back and read some of the things that I was experiencing, or some of the things that I feared, I can honestly say the majority never happened. It has shown me fear is a crippling disease that will keep you from maximizing your potential and being the best you can, if you do not stand up against it. 7. Do you value your friends and generally keep them for life? Yes! True friends are like diamonds, and you don't throw away diamonds. 8. If you could change the world where would you start? With myself and that is not a smart answer. I believe too many people are out there trying to change the world, and they are all messed up themselves. I like to start at home and that means with me. 9. What is your greatest dream and do you intend to reach it? That's my secret, but I hope I can reach it and experience it. I'll let you know when it happens. 10. What brings you the most joy and happiness? When I am writing, I forget the time. I can write 24 hours and not eat anything, because I am in my flow. When I am on stage in concert, I suffer from stage fright, but once I open my mouth and sing my first song, which is usually a cappella, I am in heaven and nothing else matters. I move into my flow. If I am working on my iPad learning a new app, or on my MacBook learning how to master it, or any of the Apple products that I have, I forget the time. There are many days when the sunshine greets me, and I realize I have not slept. 11. What do you expect readers to get from your writing? Encouragement, joy, the will to keep going, to not give up, and not let fear stop them. I want them to feel warmth and concern, to be able to read something I write or I sing, and say yes, that article, or book or song went down into the deep crevices of my heart and helped pull me out of my destructive behaviour. One of my favourite passages in the Bible is the part with David and his harp. David was summoned to play for King Saul whenever he was in a depression. His playing brighten Saul's life and the depression had to flee. That Is what I would like to see happen when people read my writing or come to one of my concerts. I would like the darkness to disappear, if only for a little while, so that they may rest. 1. What motivates you to get up on Monday morning? 2. Do you take time to meditate? 3. What is the most important something that you possess? 4. Where would you like to be five years from now? 5. How often do you write? 7. Do you like being alone and why? Once again, thanks Micki for your faith in my ability. You are dear to me.